Google Project Shield – DDoS Attacks Protection: Google announced a new Tool called Project Shield that helps protect websites from attacks Distributed Denial of Service (DDoS). The technology that serves as the basis for this infrastructure protection uses cloud topology that is behind the Google services. Project Shield is more than a project “ test tube ” or just a dedicated audience located . The initiative allows Google to ensure freedom of expression. This service is primarily directed to the protection of sites that provide independent news , human rights material and content electoral / political . For now the service is available to a limited audience ( ie a limited set of sites ) . For this reason Google asks webmasters of sites that fit the profiles prior to completing the form provided online , in order to qualify to enter the testing program . Project Shield combines DDoS mitigation technologies themselves along with Google Page Speed ​​Service ( PSS ) . The latter allows websites can serve your content by Google , as it is known , has a huge infrastructure that can handle the load of the majority of DDoS attacks . 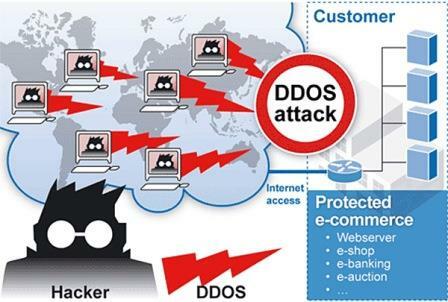 The DDoS attacks are one of the most difficult to contain and with greater impact on the normal operation of a website . Although there is more than one way to perform DDoS attacks , the most known and used by organizations like Anonymous, is to coordinate a group of people to send a significant number of simultaneous requests to a website . If the attack is successful can strangle the hardware resources used by the target machines and deny access even legitimate customers . Project Shield as the PSS is completely free , however at this stage Google will place top priority sites more mitigated by these types of attacks . The Digital Map Attack as the name implies , provides a map data updated in real time , built through a collaboration between Arbor Networks and Google Ideas , which maps DDoS attacks designed to cause lack of availability to sites. This tool shows the anonymous traffic data in real time related to attacks on freedom of expression , and also allows people to visualize trends and news related to disruption of services or web sites that happen on a given day . The uProxy is a new extension for web browsers that allows friends to each other to define a reliable way to the web . In practice this feature is intended to protect an internet connection the following risk scenarios: content filtering , monitoring or disorientation . The University of Washington and the Brave New Software developed the tool which was vatted by Google Ideas.